On Sept. 5, LinkedIn co-founder and Vice President of product management Allen Blue shared his thoughts on the success behind LinkedIn during the Democratic National Convention. Allen participated in the Opportunity: What Is Working jobs panel, a jobs creation panel sponsored by The Huffington Post. Blue explained how the social and professional networking site is all about empowering every professional through the connections they already have. Personal relationships are very important, and, with 175 million members, the key to LinkedIn’s success. As his third startup, LinkedIn came into Blue’s life through the company’s own approach: a personal relationship. Blue met fellow co-founder Reid Hoffman through a mutual friend while he worked as a theatrical set designer in the San Francisco bay area. Aside from personal relationships, Blue added that loving what you do is one of the most important factors in a successful career. Understanding the role passion plays in, not only his own, but anyone’s career, Blue also explained how LinkedIn was designed to help people in their career endeavors. His advice to entrepreneurs was to do what you’re passionate about because the desire to do what you’re doing and do it really well makes all the difference in terms of you being able to succeed. 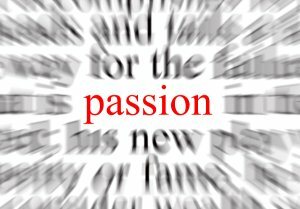 Passion allows you to see how what you’re doing is bigger than yourself and it opens you up to learning and trying new things. The VP also advised future entrepreneurs to “fail early and fail often.” When you attempt to do something you’re passionate about and it doesn’t work, that is perfectly okay. Get back on the horse and try another path, Blue said. ‘The combination of passion and a willingness to fail is a fantastic combination to building a career and building a career that’s going to be you,” he said. So personal relationships + passion= success. Not a bad formula. Yet, I wonder, how much of each variable is required to truly become successful? The popular saying, “It’s not what you know, but who you know” does prove true for many success stories. Yet, you also have those who relied on nothing but the desires that burned deep in their hearts and the relentless determination to catapult them into their dreams. Networking is, and, most likely, always will be a beneficial tool. So many doors can open for you simply by knowing the right person. I interned at Scholastic Inc. this past summer and, unlike all the other interns, I didn’t even apply for the position. How did I get in? A family member (and former employee) knew someone who knew someone in the HR department. Connections are important. Yet, although I understand the benefits of having a network, I am convinced that if it came down to it, in the pursuit of success passion must be your greatest resource. You can have all the connections in the world, but if you lack passion for what you’re doing it will be that much harder to reach your goals. Sure people can help and encourage you, but when it boils down to it, there has to be something inside of you that keeps you going. There has to be something internally that fuels you, something that motivates you to continue pursuing your dreams even if you do not have those personal connections life says you often need. Success is subjective, it’s relative to each person’s goals. Like LinkedIn, personal connections can heavily contribute to accomplishing your career goals, but, like it’s co-founder and VP, more so the passion for what you’re doing.